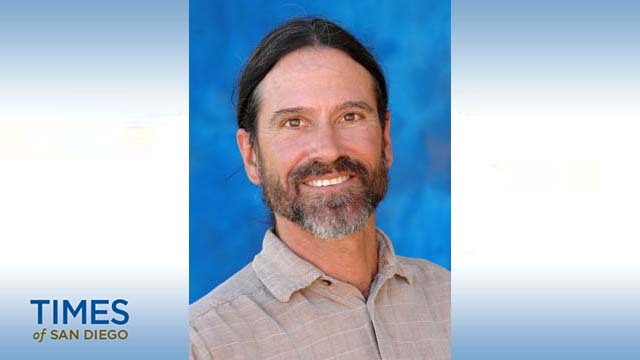 Friends, family, students and fellow educators were in mourning Thursday for a 58-year-old college professor who was killed in a collision with a minivan this week while bicycling near Flinn Springs County Park. Brian Jennings of El Cajon was riding a mountain bike on a bicycle path alongside Olde Highway 80 when a 2015 Toyota Sienna traveling in the same direction veered out of a traffic lane just east of Soldin Lane and struck him about 3:15 p.m. Tuesday, according to the San Diego County Medical Examiner’s Office. The vehicle then crashed into a metal bus-stop sign, a mailbox and a parked Ford F-150 pickup truck before coming to a halt. Witnesses performed CPR on Jennings, a political science instructor at Grossmont College in El Cajon, before medics took him to Sharp Memorial Hospital, where he was pronounced dead about an hour after the accident. The driver of the minivan, a 67-year-old Spring Valley resident, reported no injuries, according to the California Highway Patrol. Two young children who had been riding in her vehicle, however, were transported to Children’s Hospital for precautionary evaluations, CHP public-affairs Officer Travis Garrow said. The spokesman said he could not disclose the relationships among the motorist and her passengers — three girls and a boy ranging in age from 2 to 9. The woman, whose name has not been made public, told authorities she fell asleep behind the wheel in the moments prior to the fatal crash. There was no evidence of intoxication on her part, Garrow said. The Highway Patrol’s investigation into the accident is ongoing, and it remains unclear if the state agency will seek any criminal charges in the case, according to Garrow.